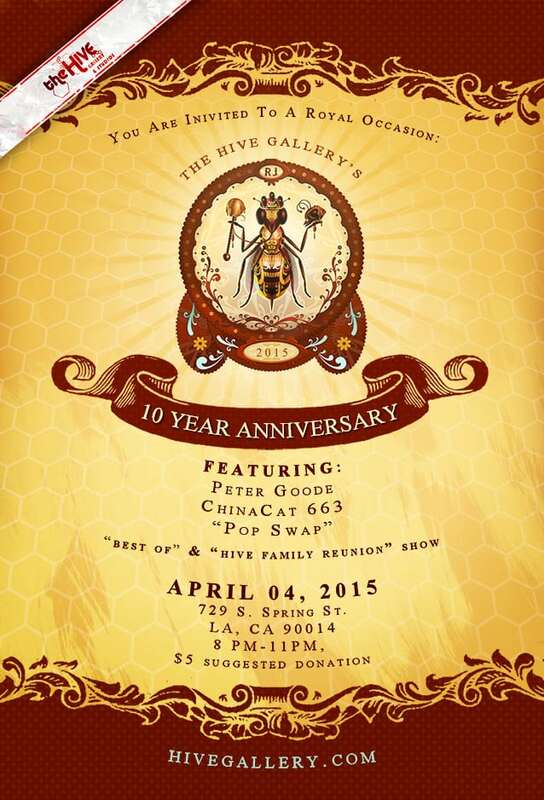 Hive Gallery 10 Year Anniversary Show! Hive Family Reunion: A group show of artists who have held residency at the Hive for at least 6 months in the past and are continuing to work as artists outside of our beehive community! POP SWAP: A collaborative artist swap project between the Hive Gallery and Dream Factory (Frankfurt, Germany). we call Hiveland. The installation lies above the gallery walls and stretches about 20 foot throughout the front room of The Hive.